CAMA was founded in 1983. Back then, hair had more volume, shoulders were padded and designs were hand drawn over and over again with an electric eraser close by until they were perfect. Times are different now but our vision has stayed the same: to empower wellbeing through design. 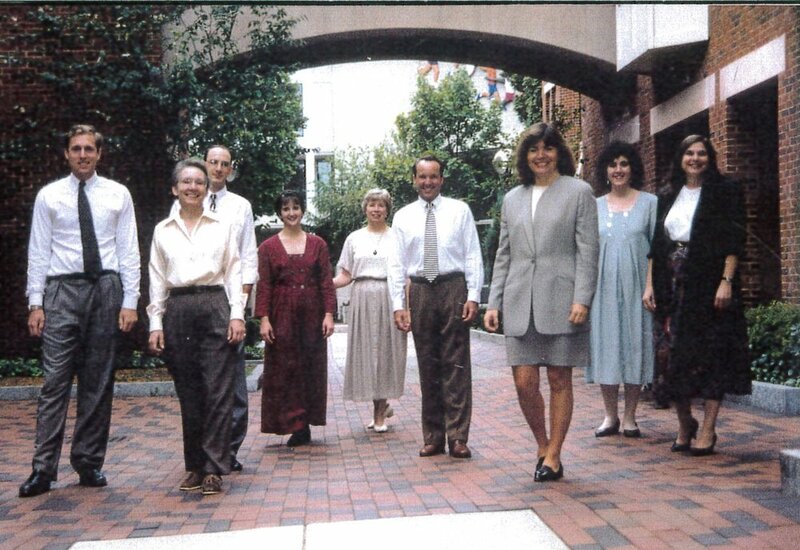 For 35 years, CAMA has continuously innovated to maintain leadership in the evidence-based design industry. Our curiosity and collaboration with past and present co-workers, fellow thought-leaders, researchers, clients and partners enabled us to transform spaces into impactful places of wellbeing. In honor of our anniversary, we're looking back on past employee photoshoots. Funny fashion aside, you'll notice a few faces have remained with us since the beginning (some even second generation) demonstrating our commitment to each other and family culture. Thank you for your support over the years; we've learned so much and hope the world has benefitted from our work. Your stories, opinions, research and insights have helped us improve our practices and always remind us why we love to do what we do! We'd love to hear your stories from your collaborations with CAMA. Comment below or send us an email at info@camainc.com. To read more CAMA News, Click Here!